Technically advanced range of Plunger Type Dosing Pumps is basically industrial metering pump. It is also called positive displacement pump and in each cycle of operation these pumps displace a particular amount of fluid. The reciprocating motion of a plunger creates the pumping action. These follow the drive end mechanism and the liquid end mechanism to ensure flawless performance. 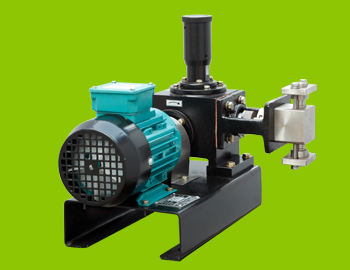 These can be availed in simplex, duplex and multiple heads for the proper flow of different chemicals. Our devices are engineered under the strict supervision of experienced quality controllers.